As a New Yorker who lived through 9/11, I still find a visit to the downtown area a bit emotional. It&apos;s taken me a moment to embrace all that&apos;s gone up in the place of the Twin Towers. But here&apos;s the thing about New York, it&apos;s a living breathing organism. Not only won&apos;t this city sleep, it won&apos;t stop evolving. 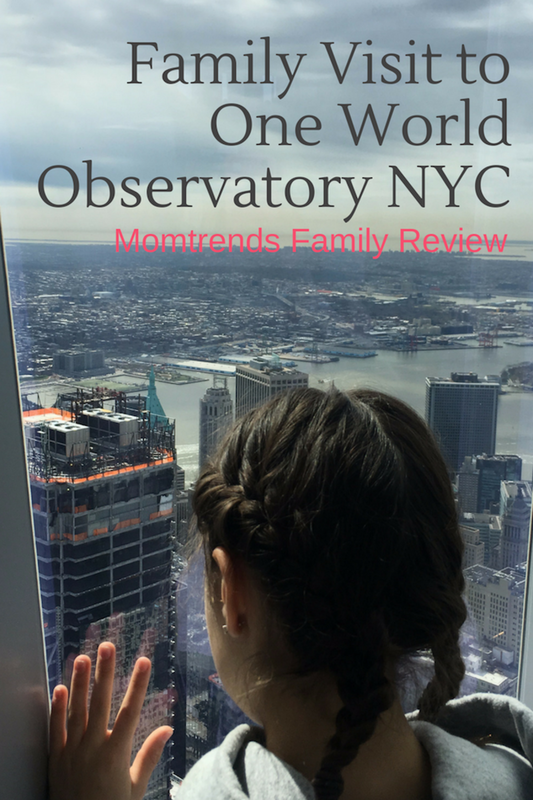 This year, I took my girls on a family visit to the One World Observatory. I wanted to show them a building of the future and give them a chance to respect the past. Our school had a mid-week day off and I planned a bit of a stay-cation with the kiddos. 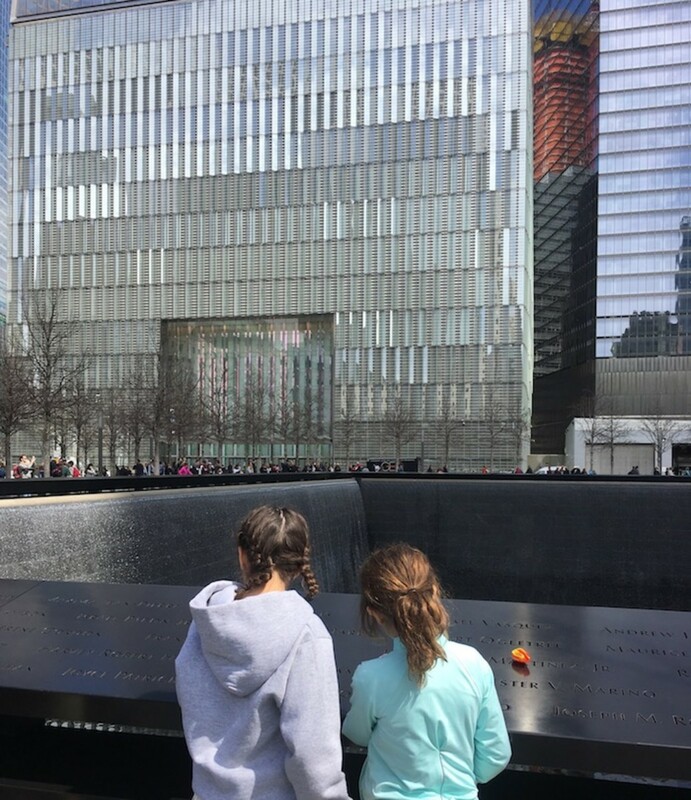 We saw the Brave Girl sculpture on Wall Street and then walked to the One World building. We gave ourselves plenty of time to get through security and then gathered in the meeting area. A cool display shows where all the One World visitors hail from - quite an international crew. From there we walked through some displays of bedrock (the rock can withstand a lot of weight, that&apos;s why NYC is ideal for sky scrapers). Then it&apos;s off to the elevators. As you go up, you zoom through the decades. The elevators turn into a media display like no other. Watch over 500 years of New York City&apos;s past flash before you - the ride takes less than a minute to go up 100 floors! Once you see the "big reveal" (I will say no more because I don&apos;t want to ruin the surprise, you&apos;ll take in the views. We spent about an hour looking in each direction and trying to spy our favorite landmarks (and our windows in Brooklyn, which, yes, we could see). 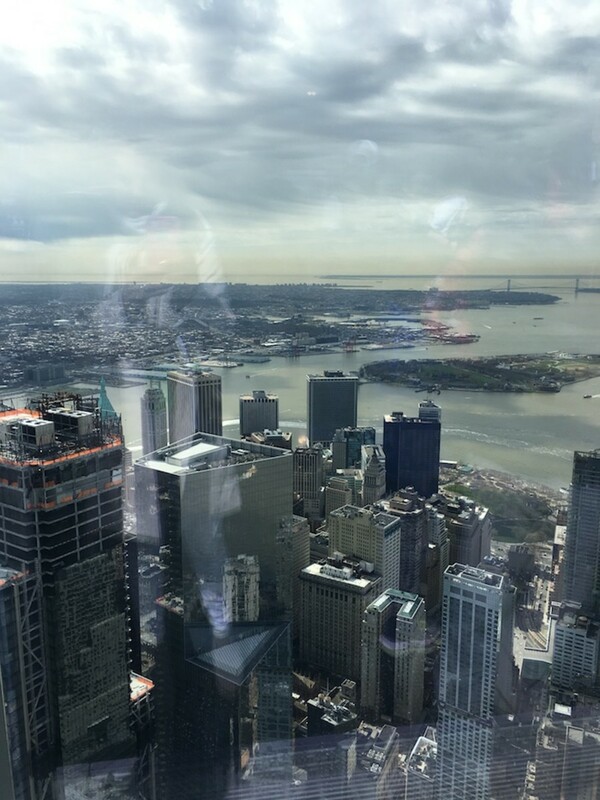 One World Observatory offers stunning, 360 degree views of Manhattan, the Hudson River, Brooklyn, and Jersey City. Give yourself time to soak it all in. Few locales in New York City carry the patriotic magnitude that One World Observatory does. It won&apos;t ever truly replace the Twin Towers, but it does show NYC&apos;s optimism and insistence of non-stop movement forward. I&apos;m just glad there&apos;s a healthy reverence for the past. 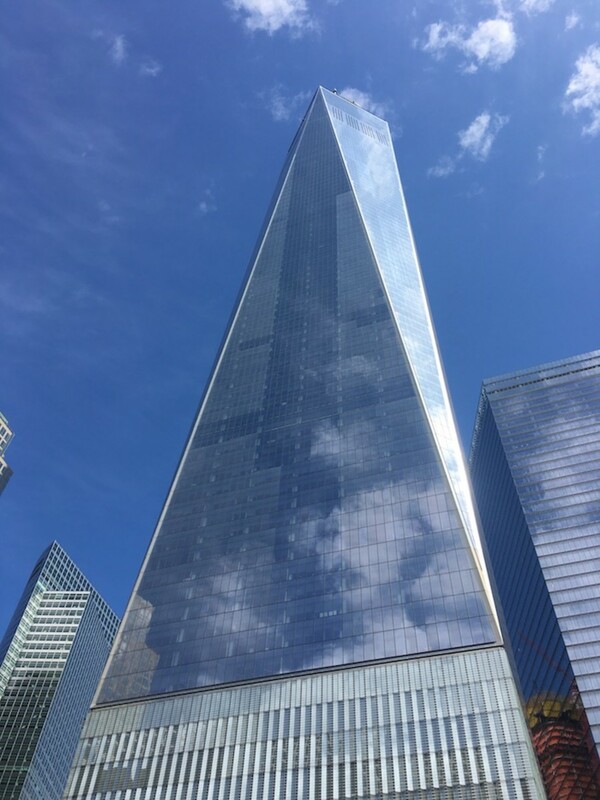 A symbolic 1,776 feet high, the Freedom Tower is a building like no other and should be a must-see for any family visiting NYC. Don&apos;t forget to look down. 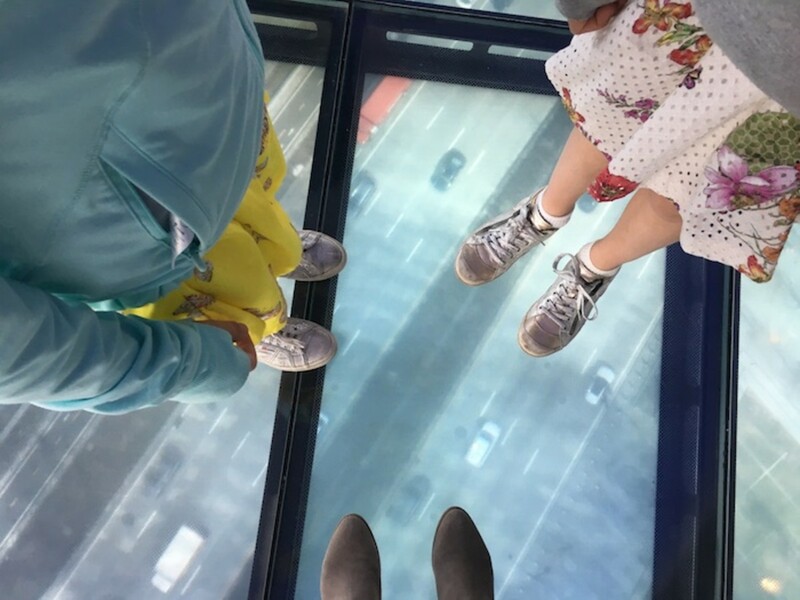 I loved looking at the "Sky Portal" - a clear 14-foot glass disc where I could see what’s happening on the city streets 100 stories below.
" target="_blank" rel="noopener">One World Explorer." 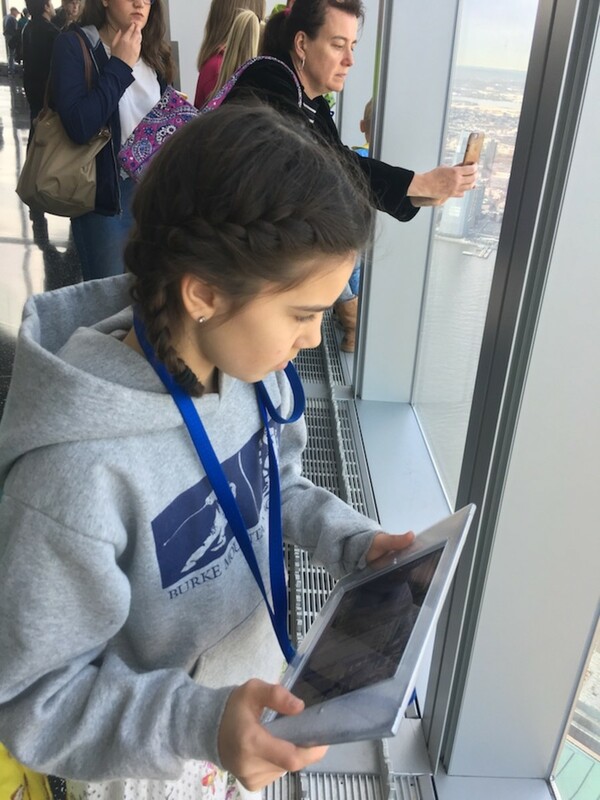 Scan the horizon and hover over different parts of the city and you&apos;ll get information on New York’s most iconic landmarks. Over forty of New York’s most important and interesting sights are highlighted for video content, including a section of special interest to kids. 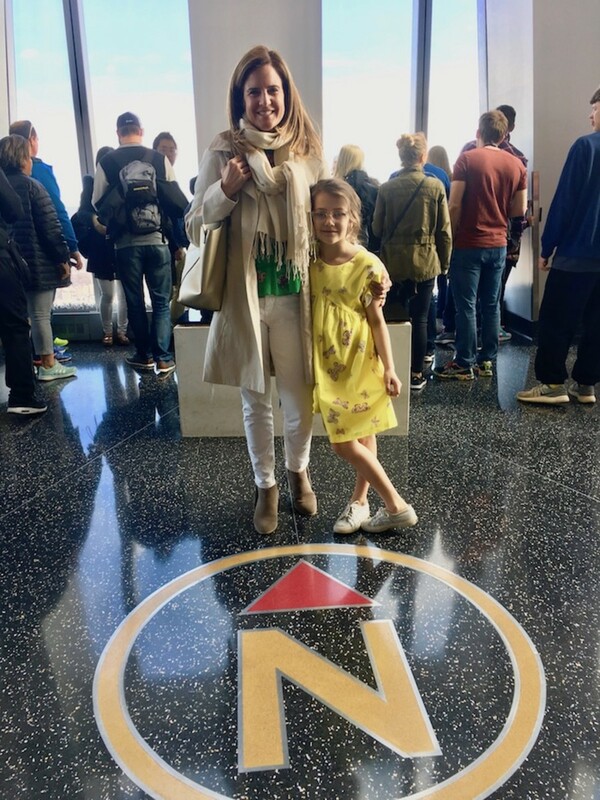 When your kids want to dive into a particular landmark&apos;s history, the voice of writer Jay McInerney, will share the significance and the drama of each iconic New York location. Enter on West St. at Corner of Vesey St.
You don&apos;t need the $30 photo. Bring your camera and get creative with the images. You can use my post for inspiration. Can&apos;t make your time? Cloudy on the day you scheduled? I&apos;ve found the One World team to be very flexible. I&apos;ve rescheduled. Per the website they say "a voucher may be issued for each un-used ticket allowing for re-entry on another date and time within 14 days, subject to availability." Remember to use a little sweetness when asking to reschedule. Be on time. Tickets are timed and the experience does sell out. Give yourself plenty of time to get through security (it rivals an airport TSA line). 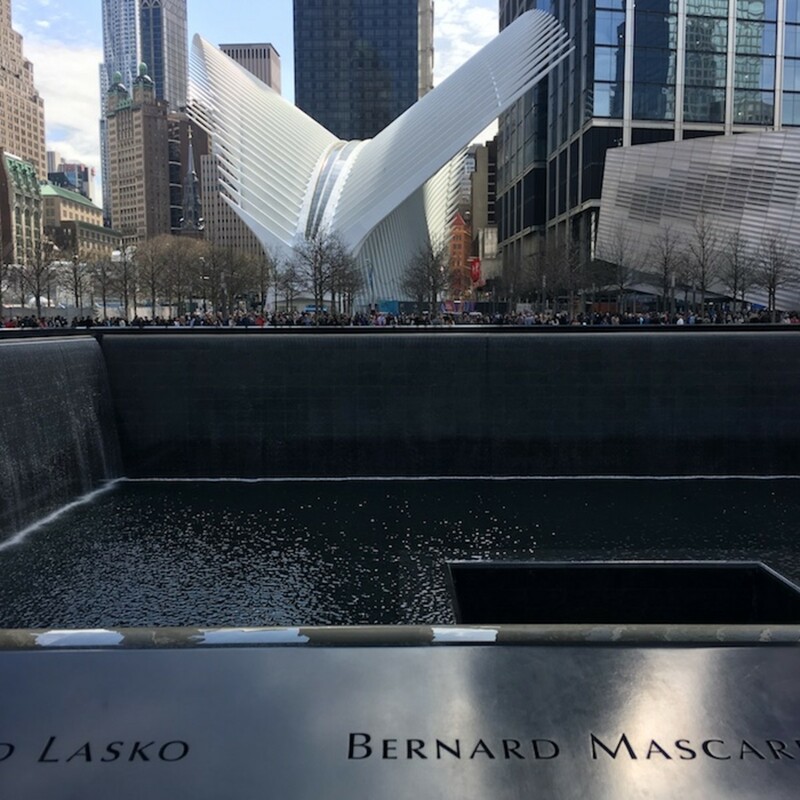 Make time to see the moving 9/11 memorial. Look for the white flowers. On each victim&apos;s birthday they honor him/her with a single white rose. I still haven&apos;t been to the 9/11 Museum, but I do make frequent stops by this memorial to pay my respects. The Oculus is a nearby transportation hub and Westfield shopping center. The lobby is stunning and worth a trip to look at the design. Skip the cafe at One World and head to Brookfield Place. There are TONS of family friendly kid options. I love Le District for bistro fare. It&apos;s a massive French food hall has upscale restaurants, markets & stations for prepared foods.